Produced in a facility that also processes tree nuts (pine nuts and cashews) and milk products. This product is gluten-free. Boozy says it all! 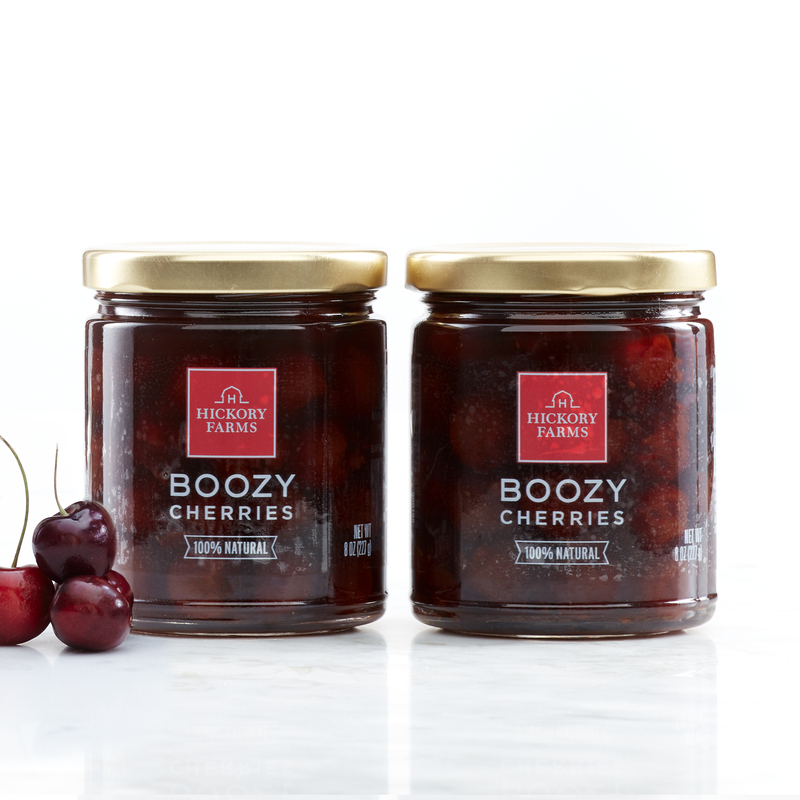 These Boozy Cherries are braised in brandy and amaretto, with a dash of thyme making them irresistible. You’ll be hooked to these cherries after just one! They're delicious paired with your favorite Hickory Farms cheese, or make an excellent compliment to poultry, beef, or pork. Try them as a topping for ice cream, cakes, or cocktails for a surprisingly satisfying treat.